Garden Flavours Co. Pvt. Ltd. and its range of products have always been associated with high quality and standard. 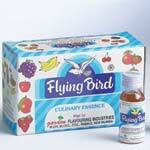 The company offers a wide variety of Liquid food Emulsion, Food Flavours, Emulsions & Food Colors and so on. All our products are certified from HALAL. They meet all national as well as international standards including PFA, ISI, FCC, FEMA and GRAS requirements. These products are manufactured from nature-identical and food grade synthetic raw materials of the finest quality and standards. They are offered with guarantee of being absolutely safe and hygienic to be used in food stuffs, fruits juices, fruit based juices industries, frozen desert (ice cream), dairy bakery/ biscuits and confectionery and pharmaceutical industries. Besides, we are one of the distinguished Powder & Liquid Food Colors Suppliers in the market. 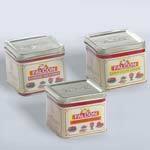 The company is also counted as an important Food Colourants Manufacturer in the business.